If You’re Struggling, Don’t Give Up! At Heart-Centered Counseling, we have a team of therapists dedicated to supporting you. Whether you’re looking to help yourself, your marriage, your family, or your kids, we’ll find just the right counselor to offer support. Our experienced team has been helping people heal for many years, and we’ll match you to a therapist who’ll create long-term relief for everything from deep turmoil to painful life experiences to feelings of depression and anxiety. If you’re like most of us, you’ve probably been silently struggling for some time now. You’ve come here because you’d like help. We want to assure you that you don’t have to be alone in the pain and struggle anymore. We’ll listen, understand, empathize, and, most importantly, work side by side with you until you’ve reclaimed the life you deserve. At Heart-Centered Counseling, each and every day, we help individuals heal from anxiety, depression, trauma, grief and loss, substance abuse, and much more. We help couples resolve conflicts, improve communications, heal from the trauma of affairs, end domestic violence, and resolve a wide scope of marital issues. And we help kids of all ages with everything from emotional distress, to behavioral concerns, to issues of focus, to family conflicts. Whatever your going through, today is the day to get help. And this is a place that can help. Sometimes, psychiatric medication can play a valuable role in your healing journey. Unfortunately, there’s a shortage of psychiatric care and medication management programs in our community. Our Psychiatry & Medication services seek to fix that by providing caring, client-centered support for the full range of mental health and substance abuse concerns. 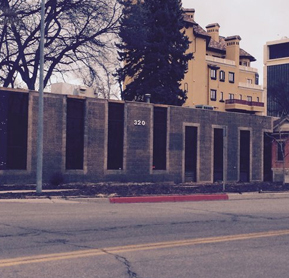 We’re located in the heart of Old Town, Fort Collins (Colorado), in a lovely 1976, triangle-shaped office building (we like to think of it as being heart-shaped). Located directly across from the Old Town Post Office, the interior has been completely renovated to create modern, warm, and welcoming office suites. I’m confident you’ll enjoy the large skylights in the waiting area, the welcoming atmosphere, and the Old Town charm in its many forms.